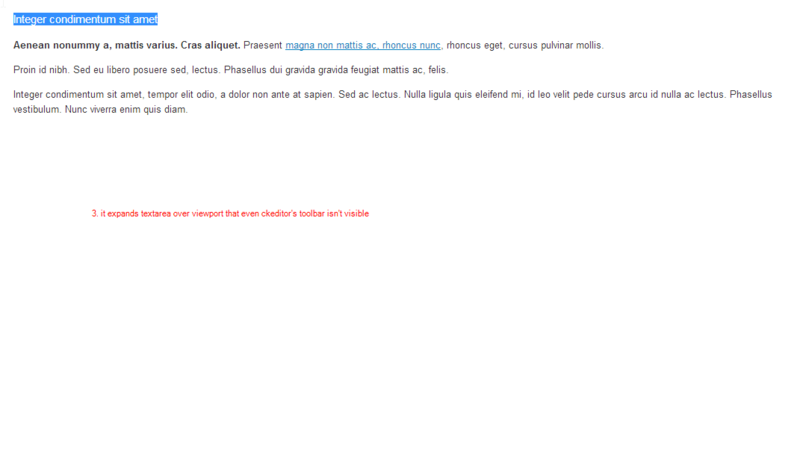 Hello, problem is when you use CKEditor with plugins sharedspace and maximize. 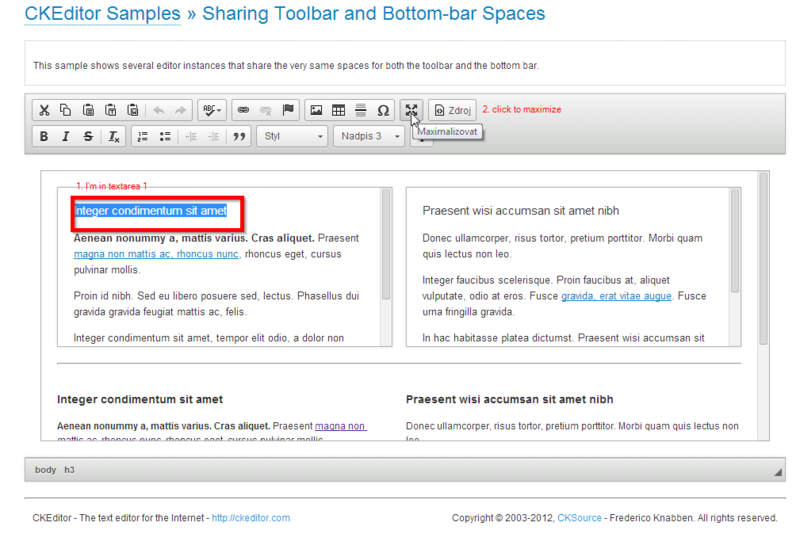 Maximize will be maximized to whole page that ckeditor's toolbar is not visible. ckeditor.zip​ (2.2 MB) - added by Ondrej Sevcik 5 years ago. This is by design. Maximize and resize is not usable with shared spaced (3.x had same rule). I am closing this issue as invalid.